Those are our great collection in this month. The 150 big Rooks chess pieces have fill our store. The black Rook has made from best quality of Teak wood and carved beautifuly by good craftsman. 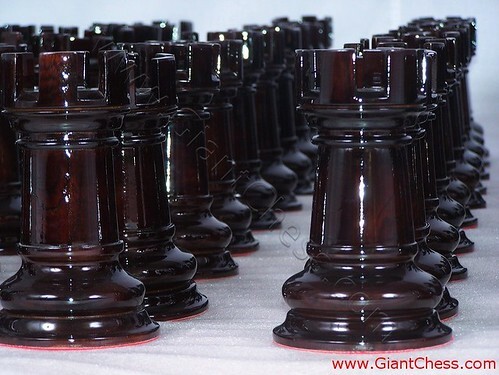 The black also add with glossy touch and completed with pedestal chess pieces. The Rooks are carved detail and designed in big size to use it for any need beside chess pieces in a chess game. Not only for chess game. You may buy rook piece for your room decoration or you arrange those are in your living room table. It will look so nice for your guest. On the other hand, you can pack some of those Rooks for give as gift or present. It would be more unique and unusual gift for your friend and partner. Something made from wooden handmade are always interesting and unique. So you should consider to collect these wooden carving Rooks in your house.